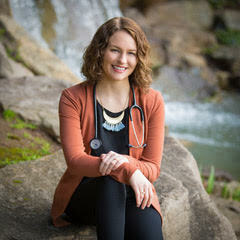 Dr. Jameson is a licensed naturopathic physician, in her first-year medical internship at NWIM, having received her doctorate of naturopathic medicine from the National University of Natural Medicine in 2017. Throughout her life, Dr. Jameson has had a strong interest in diet and nutrition. She witnessed that the loss of cooking as a skill, the preparation and knowledge that comes from being personally involved in ones basic sustenance, was linked to many of the health problems in those she cared about. She became involved in facilitating cooking classes in the community while completing her undergrad at the University of Minnesota, and again when she moved out to Portland, Oregon. Seeing the body as an ecosystem that thrives or perishes on the inputs we provide for it, inevitably led to a more holistic view of what health is. This holistic view was further broadened for Dr. Jameson as she trained in herbal medicine, homeopathy and bodywork techniques like craniosacral and Somatic Re-education therapy, in addition to nutrition at NUNM. She’s dedicated to utilizing these therapies, with the skills she has honed as a clinician, to provide her patients with the opportunity to discover their body’s own innate healing capabilities. When she is not in the office helping patients, you can find Dr. Jameson out hiking and camping with her husband, cooking up a delicious storm in the kitchen for her friends and family, or getting her hands dirty in the garden.